So here is the down low since I am unable to post on the sale page. 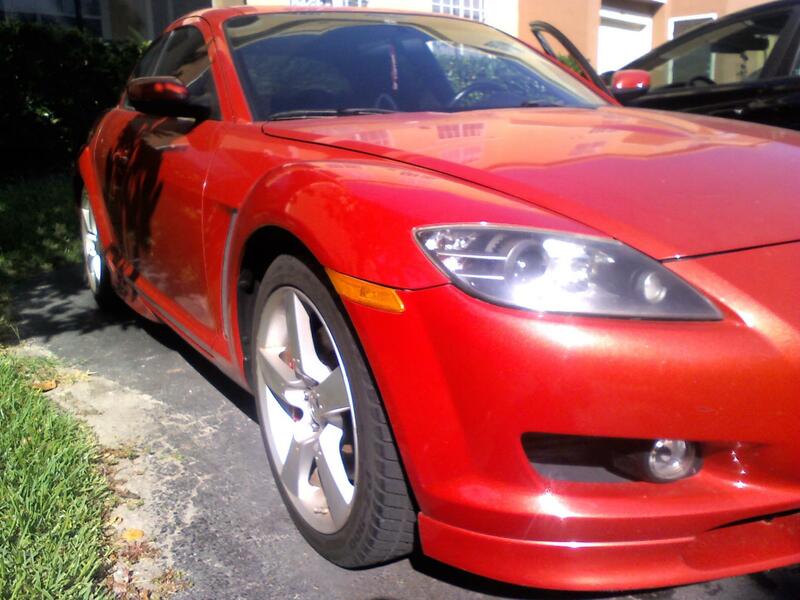 I am looking to sell my red ‘04 Mazda RX-8. As much as I love my car I have to sell it as it is placing a divide between my wife and I, and I love her more than I love my car (I love my car a lot). I am also set to deploy soon with my army unit and I need sell it to a loving owner instead of having it sit in a garage collecting dust and hearing my wife talk to me about it when I’m deployed. 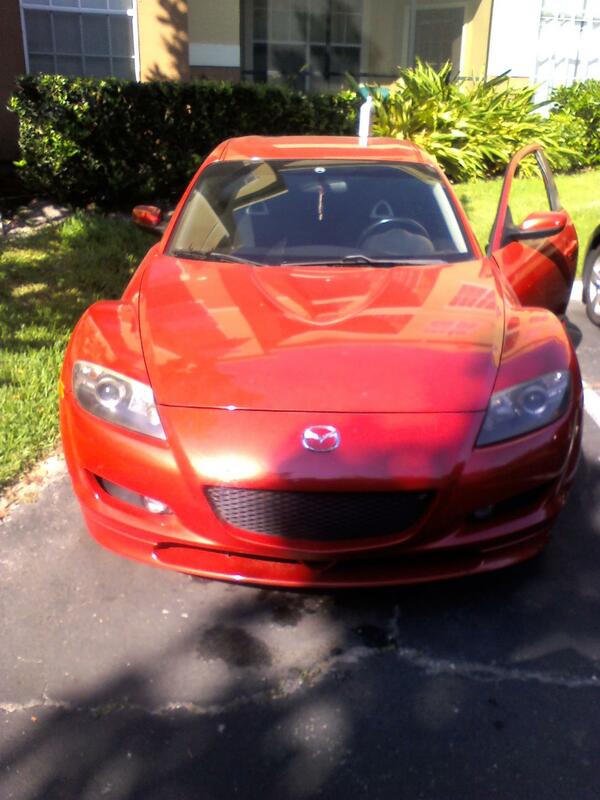 It is a ’04 Mazda RX-8 with 90k miles. Automatic sports edition with tiptronic. I had to rebuild the engine months back and it drives smoothly. There are black halo racing ignition set that matches the exterior, a red optima battery, K&N air filter. The RX-8 comes with racing brakes and a lifetime warranty tires. Everything else on the RX-8 is stock. Title is clean, small ding on right back passenger side and rear left bumper. I have paid 8,500 for it but I am asking for $6,000 OBO. Currently it is at my mechanic who can watch for me as I am afraid it will get towed away at my apartment complex. Any questions please drop me an email and I will answer promptly. You can also park it at the base car resale lot. I know Lackland has one by the Main BX. I sold my 1998 Mazda Millenia S there in 9 days. Nah. We're not that hard-assed about the rules. Especially for a serviceman about to deploy. I'll leave this here while it's fresh, then move it to the For Sale forum in a day or so. Tank - how long before you depart? Good luck on the deployment. where abouts in FL are you?